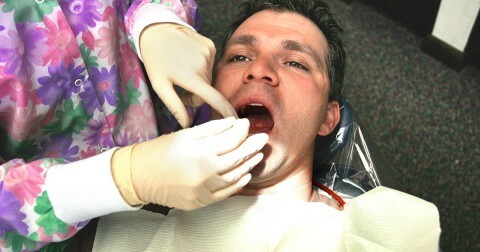 Tooth replacements are a popular dental procedure. Nearly 70 percent of the adult population has lost at least one tooth to an accident or disease, while 26 percent of adults over the age of 74 have lost all their permanent teeth. Teeth are essential for so much more than a full, beautiful smile. Your teeth allow you to speak clearly, chew normally, and support the structure of the face. Without your teeth, your whole appearance could change, along with the quality of your life. Fortunately, advancements in the dental industry can save you from the destruction of your mental and physical health due to missing teeth. Dental implants are the industry standard for tooth replacement because they protect your health and the function of your teeth. Dental implants are multi-component devices, designed to ideally mimic the look, feel, and function of your natural teeth. 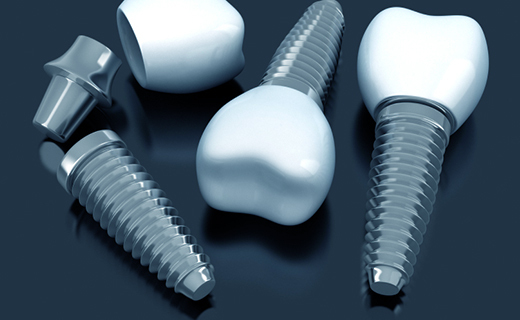 The implant is comprised of a titanium anchor, which looks like a screw or cylinder and is fitted into the upper or lower jaw through the gum tissue and into the jawbone. This titanium anchor creates a stable base for the crown, which is a porcelain piece designed to replicate the look of the missing tooth or teeth. This type of tooth replacement is more stable than dentures or bridges due to the fixed support within the jawbone. There are no limitations of food consumption and the facial structure is restored and the bones of the jaw protected because full function of the tooth or teeth has been completely repaired. While dental implants are the preferred standard in the industry, the treatment process is extensive and often takes several months. However, the extra treatment time is worth it. Dental implants have a 95 percent success rate, meaning the surgery is low risk. And because they last a lifetime, this makes dental implant costs more reasonable compared to bridges or dentures, which have to be replaced multiple times over the years. Individuals with certain diseases or conditions may not be candidates for dental implants, or may need to work with their dentist or doctor to stabilize these conditions before proceeding. Those who currently have dentures or bridges may find dental implants to be a preferable alternative. Individuals who smoke can be successfully treated with dental implants; however, tobacco use can impair optimal outcomes. Young children and adolescents are generally not eligible for dental implants, as the jaw must have reached maximum physical maturity before replacement can occur. Your dentist in Peoria can help you determine if you are an ideal candidate for dental implants. Your dentist in Peoria can discuss the dental implants cost with you, as well as your options for tooth replacement and will review your medical history before making a recommendation. Prompt friendly service in a clean environment…that pretty much sums it up! Service prices are reasonable, personnel is accommodating and I am satisfied thus far with the work I’ve had done. Great hygienist. She is awesome. Makes it convenient for my schedule. Everyone is so friendly, I feel each receptionist, hygienist, dentist and orthodontics tall truly care about you! !